Well, the 31 nights of different dinners is here again. As a Christmas present for the last four or five years, I have given my husband the gift of a different meal every night for the month of January. We call it the 31 nights of different dinners (see full explanation of how it started here with the added benefits). The main rules are: You can not repeat a meal within the month (thus promoting new recipes), and no left overs for dinner. This leaves me with a pretty big challenge of meal planning for the entire month. The great thing about this plan, is we do really try a lot of new recipes. I just found a great recipe I wanted to pass onto you that not only one, not only two... but all THREE of my children liked. 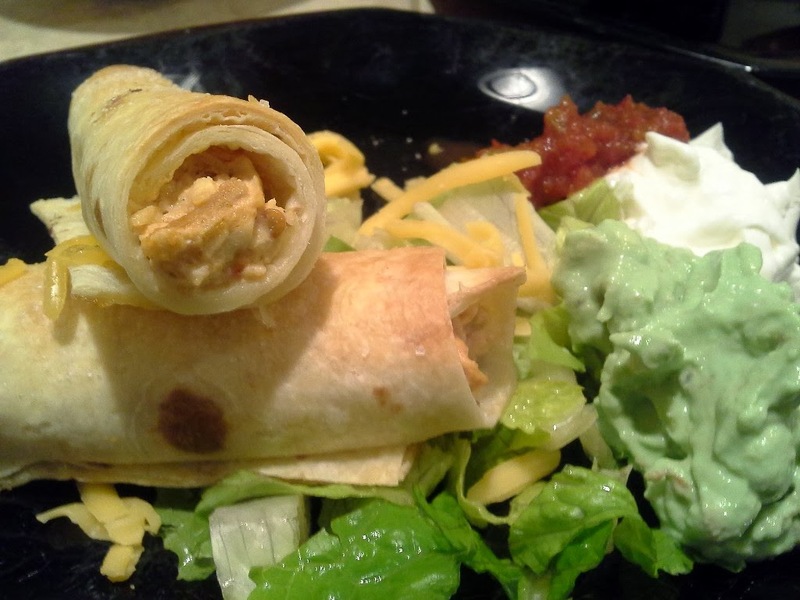 That's right, we made Baked Chicken Taquitos! 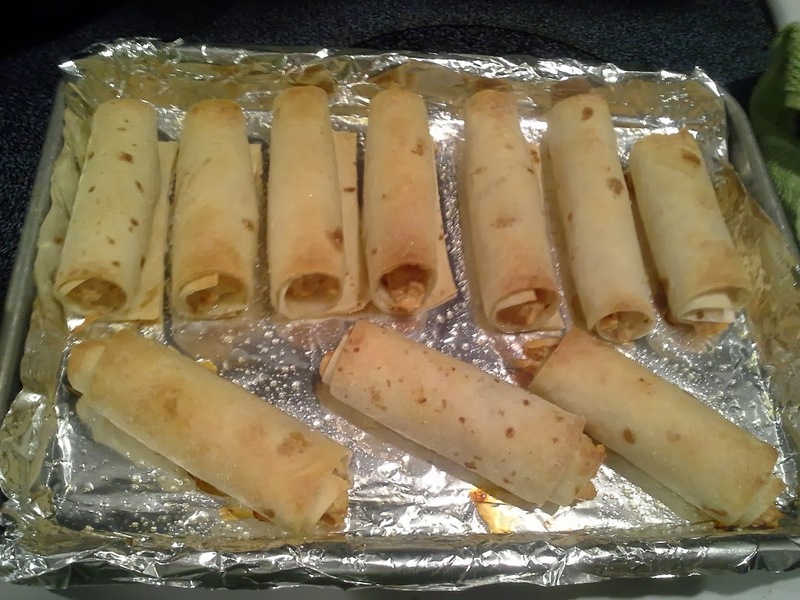 Baked chicken taquitos... coming to a kitchen near you! 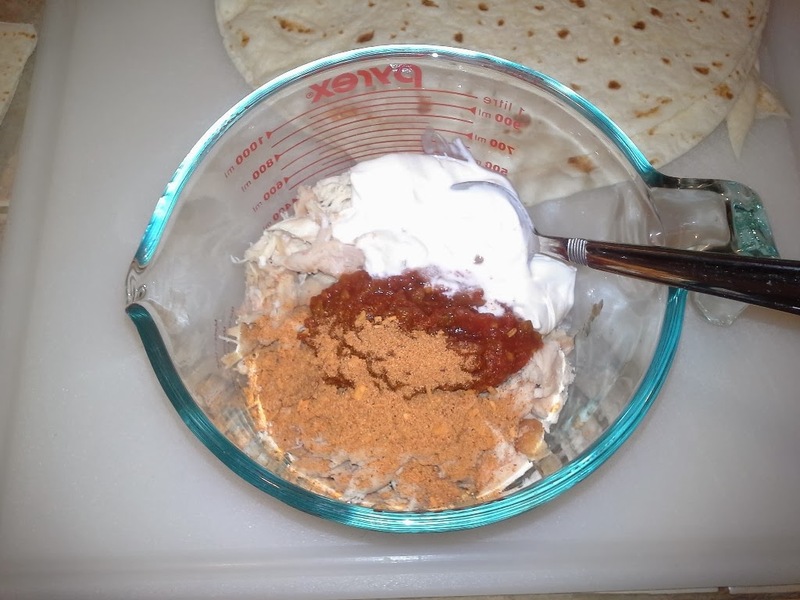 Next, you want to add in a few spoonfuls of sour cream, a few spoonfuls of salsa, and a sprinkling of taco seasoning mix. This is completely to taste, I would say about 2 Tablespoons of sour cream and salsa to start, and a teaspoon or two of the taco seasoning. Stir it up. 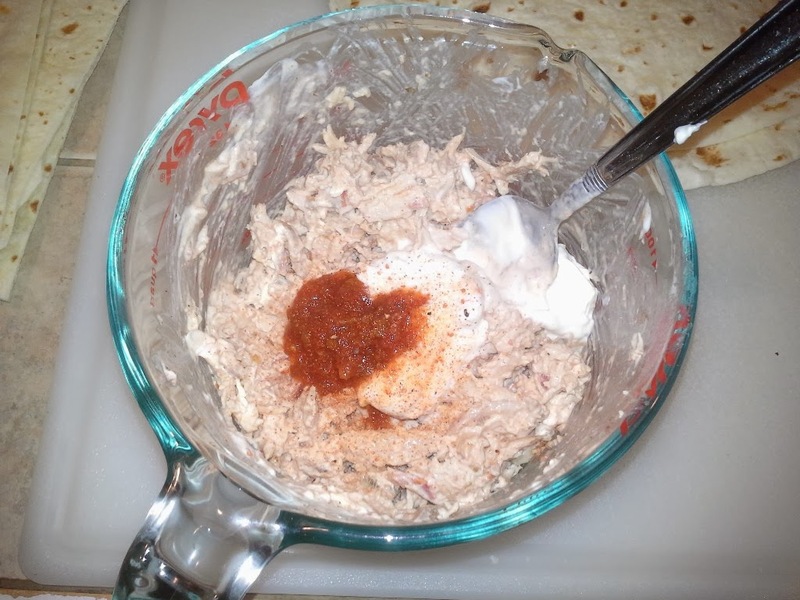 It will need to have a wet/moist consistency, so after the initial stir I ended up adding a bit more sour cream and salsa. You want it to stick together and be spreadable without being soupy. Taste the mixture. Make sure to add more seasoning if needed. 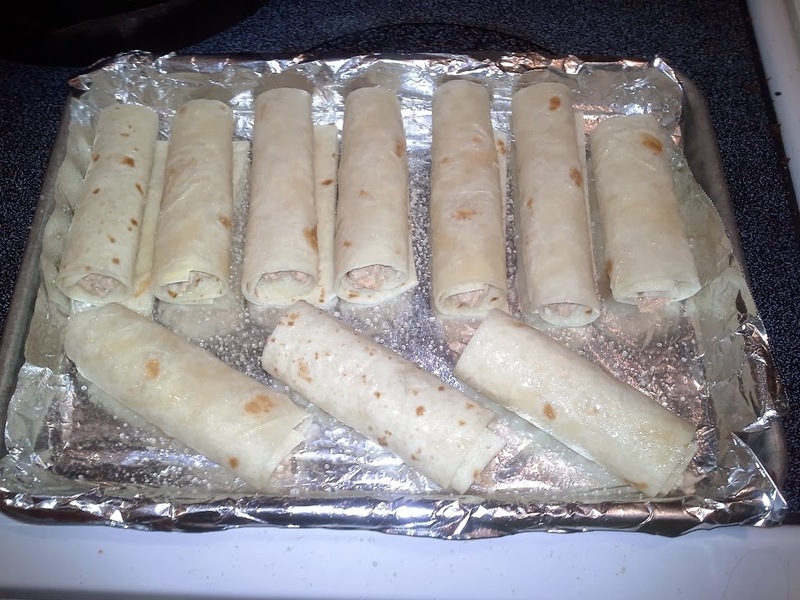 Now, most recipes I searched for on line called for the small corn tortillas, which had a couple of extra steps to make them pliable enough to roll. 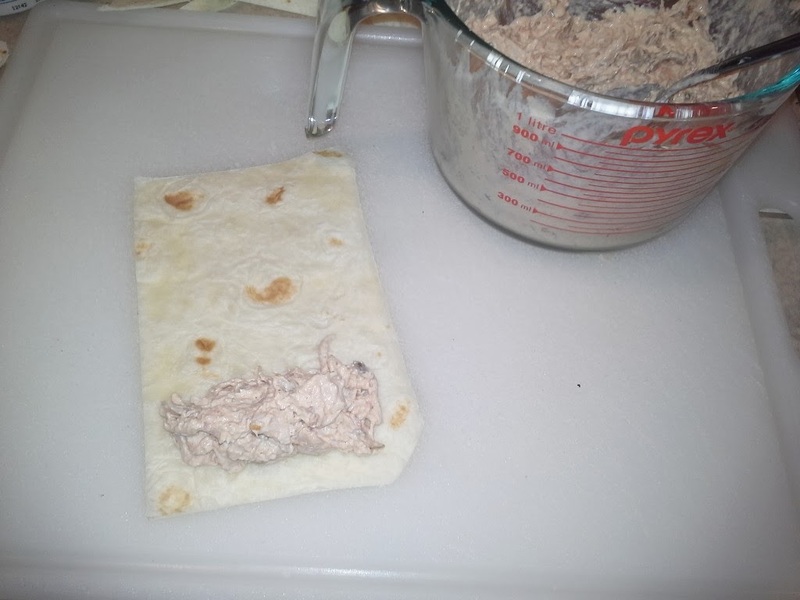 We, however, only had flour tortillas on hand, which ended up rolling a lot easier. We did not just have regular sized flour tortillas lying around, but huge, monster burrito sized flour tortillas. 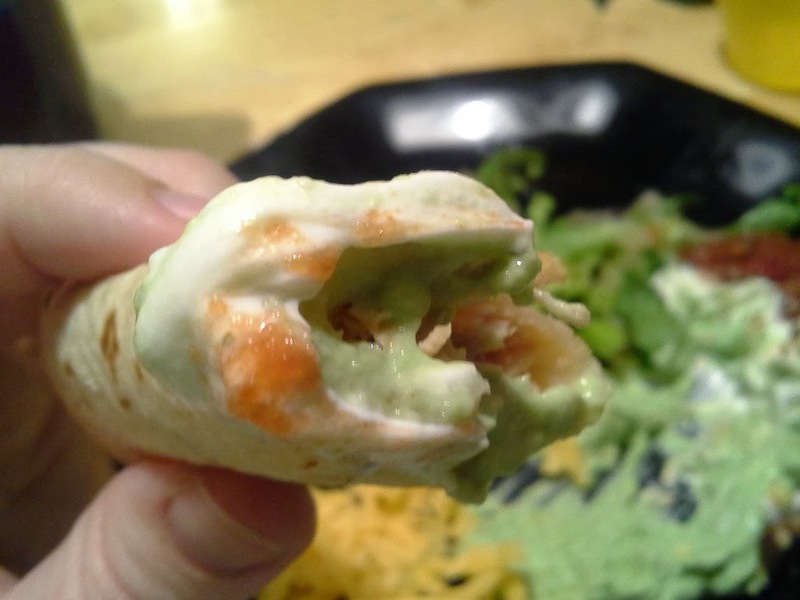 I figured you don't want that much tortilla because the taquitos would get tough on the outside with too many layers of tortilla dough. 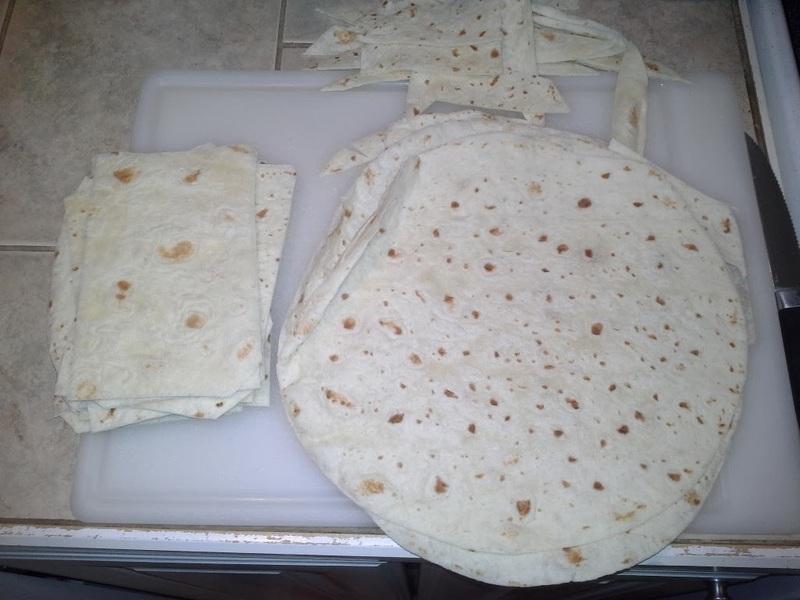 I cut the round edges off, and then cut each large tortilla into two smaller rectangles. They were probably 6.5x5 inches each. 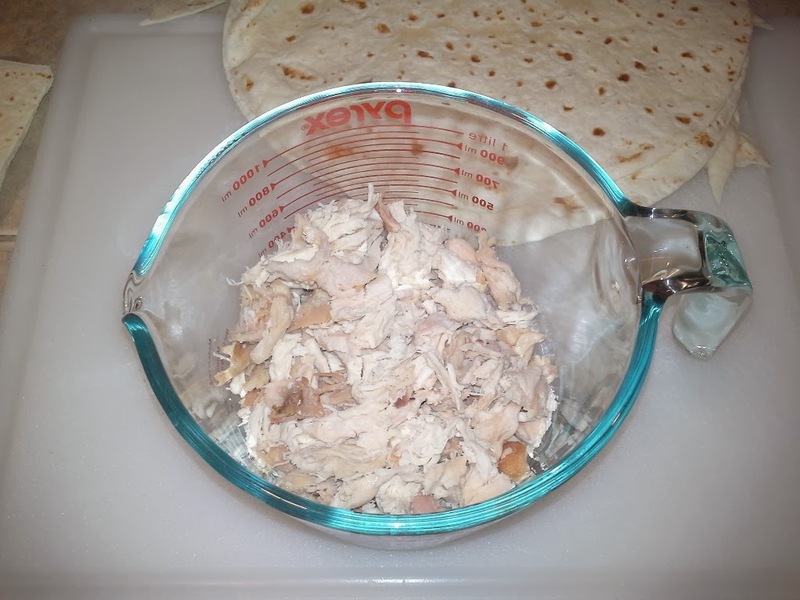 Take your chicken mixture and spread a few spoonfuls at one end of the rectangle. You want to have a good amount of filling but not enough to sqwoosh out the sides. Yes. I'm making sqwoosh a word. I just "added it to my dictionary" on my computer matter of fact. My computer dictionary probably goes to group therapy for all the non-words I am teaching it. Roll tightly, sealing the mixture inside as you go. 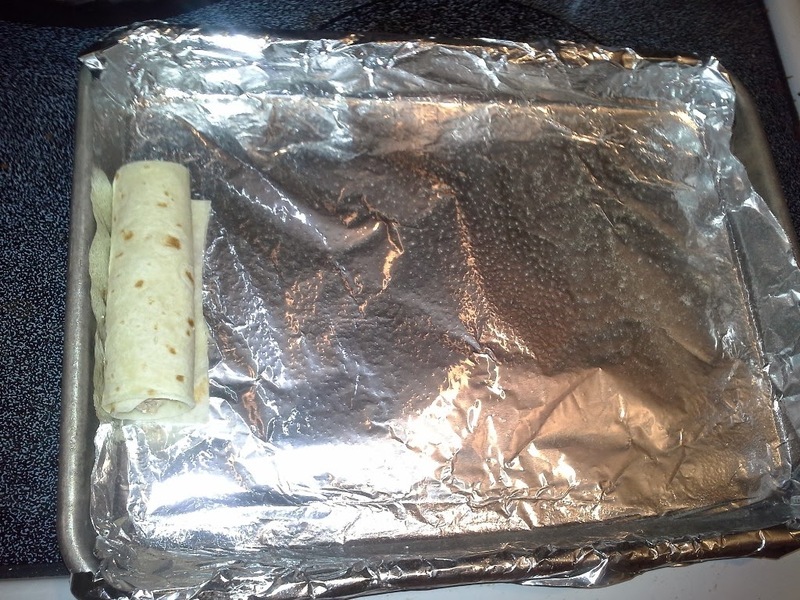 Place the taquito seam side down on a half sheet lined with foil or cooking spray (or both). Continue rolling up the rest of the taquitos. Make sure they do not touch when you lay them in the pan. I coated the top of them with a light dusting of cooking spray, and then sprinkled the top with a little seasoning. I used a couple of cranks of sea salt all over the top. The sea salt really made it pop with flavor by the way, so don't skip that step. Bake at 425º for 20 minutes or until crisp and golden. I wasn't actually sure that just by baking them would make them turn out crisp... because in a restaurant these are usually fried. Fear not though, because lo and behold they turned brown and crunchy as promised! Pleasantly surprised crisp and crunchy taquitos! The fun part of eating a plate of taquitos, is dipping them in different sauces. You can dip them in sour cream, salsa, hot sauce, and guacamole. 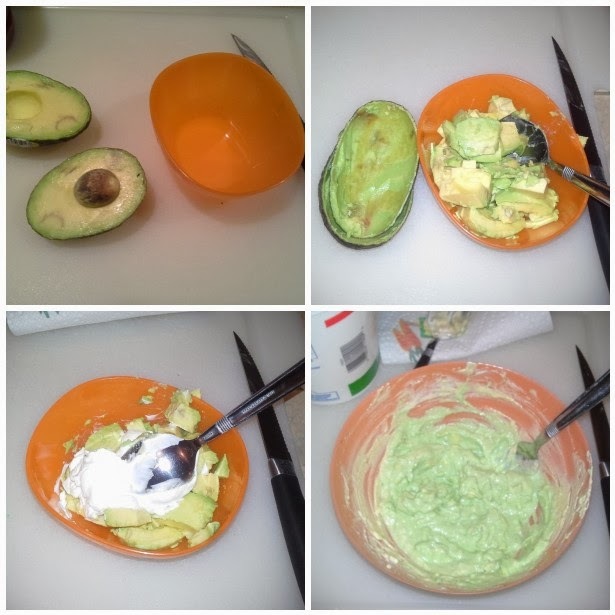 For this dinner I wanted a more creamy dipping sauce than a chunky guacamole, so I cut up an avocado, added a dallop of sour cream and some seasoning salt and stirred it until it was smooth and creamy. All that is left to do is serve them on a plate hot from the oven with a variety of dipping sauces and go to town! Everyone really loved these. They turned out crispy, yet creamy on the inside. I even got creative after serving the first few, and started cutting them on the diagonal and standing them upright like they do in Mexican restaurants. I was SO surprised when my somewhat picky middle child (who does not eat tacos) walked over to the table, took a big bite of a taquito and said "YUM"!!" Then proceeded to eat two more. Now if that is not proof that this is an easy, family-friendly recipe, I don't know what is. Try these sometime soon and let me know how you like them. I am definitely adding them into our regular dinner rotation! Full printable recipe found here. Enjoy!! Preemie Jammies - Perfect for 18in dolls!